For many decades, stem cells have played an important role in medical research, beginning in 1868 when Ernst Haeckel first used the phrase to describe the fertilized egg which eventually gestates into an organism. The term was later used in 1886 by William Sedgwick to describe the parts of a plant that grow and regenerate. Further work by Alexander Maximow and Leroy Stevens introduced the concept that stem cells are pluripotent. This significant discovery led to the first human bone marrow transplant by E. Donnal Thomas in 1956, which although successful in saving lives, has generated much controversy since. This has included the many complications inherent in stem cell transplantation (almost 200 allogeneic marrow transplants were performed in humans, with no long-term successes before the first successful treatment was made), through to more modern problems, such as how many cells are sufficient for engraftment of various types of hematopoietic stem cell transplants, whether older patients should undergo transplant therapy, and the role of irradiation-based therapies in preparation for transplantation. Ernst Heinrich Philipp August Haeckel was a German zoologist, naturalist, philosopher, physician, professor, marine biologist, and artist who discovered, described and named thousands of new species, mapped a genealogical tree relating all life forms, and coined many terms in biology, including anthropogeny, ecology, phylum, phylogeny, and Protista. Haeckel promoted and popularised Charles Darwin's work in Germany and developed the influential but no longer widely held recapitulation theory claiming that an individual organism's biological development, or ontogeny, parallels and summarises its species' evolutionary development, or phylogeny. William Thompson Sedgwick was a teacher, epidemiologist, bacteriologist, and a key figure in shaping public health in the United States. He was president of many scientific and professional organizations during his lifetime including president of the American Public Health Association in 1915. He was one of three founders of the joint MIT-Harvard School of Public Health in 1913. Gail Roberta Martin is a professor emerita in the Department of Anatomy, University of California, San Francisco. She is known for her pioneering work on the isolation of pluripotent stem cells from normal embryos, for which she coined the term ‘embryonic stem cells’. She is also widely recognized for her work on the function of Fibroblast Growth Factors (FGFs) and their negative regulators in vertebrate organogenesis. She and her colleagues also made valuable contributions to gene targeting technology. James Alexander Thomson is an American developmental biologist best known for deriving the first human embryonic stem cell line in 1998 and for deriving human induced pluripotent stem cells (iPS) in 2007. Stem cell debates have motivated and reinvigorated the pro-life movement, whose members are concerned with the rights and status of the embryo as an early-aged human life. They believe that embryonic stem cell research profits from and violates the sanctity of life and is tantamount to murder. The fundamental assertion of those who oppose embryonic stem cell research is the belief that human life is inviolable, combined with the belief that human life begins when a sperm cell fertilizes an egg cell to form a single cell. The view of those in favor is that these embryos would otherwise be discarded, and if used as stem cells, they can survive as a part of a living human being. A portion of stem cell researchers use embryos that were created but not used in in vitro fertility treatments to derive new stem cell lines. Most of these embryos are to be destroyed, or stored for long periods of time, long past their viable storage life. In the United States alone, an estimated at least 400,000 such embryos exist. This has led some opponents of abortion, such as Senator Orrin Hatch, to support human embryonic stem cell research. See also embryo donation. In 2006, researchers at Advanced Cell Technology of Worcester, Massachusetts, succeeded in obtaining stem cells from mouse embryos without destroying the embryos. If this technique and its reliability are improved, it would alleviate some of the ethical concerns related to embryonic stem cell research. Update article to include 2009/2010 current stem cell usages in clinical trials. The planned treatment trials will focus on the effects of oral lithium on neurological function in people with chronic spinal cord injury and those who have received umbilical cord blood mononuclear cell transplants to the spinal cord. The interest in these two treatments derives from recent reports indicating that umbilical cord blood stem cells may be beneficial for spinal cord injury and that lithium may promote regeneration and recovery of function after spinal cord injury. Both lithium and umbilical cord blood are widely available therapies that have long been used to treat diseases in humans. More than a third of zygotes do not implant after conception. Thus, far more embryos are lost due to chance than are proposed to be used for embryonic stem cell research or treatments. Viability is another standard under which embryos and fetuses have been regarded as human lives. In the United States, the 1973 Supreme Court case of Roe v. Wade concluded that viability determined the permissibility of abortions performed for reasons other than the protection of the woman's health, defining viability as the point at which a fetus is "potentially able to live outside the mother's womb, albeit with artificial aid." The point of viability was 24 to 28 weeks when the case was decided and has since moved to about 22 weeks due to advancement in medical technology. Embryos used in medical research for stem cells are well below development that would enable viability. Pro-life supporters often claim that the use of adult stem cells from sources such as the umbilical cord blood has consistently produced more promising results than the use of embryonic stem cells. Furthermore, adult stem cell research may be able to make greater advances if less money and resources were channeled into embryonic stem cell research. 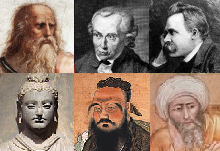 Stem cell research is highly frowned upon in many ethnic and religious groups[ citation needed ]. 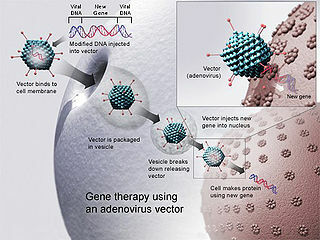 Adult stem cells have provided many different therapies for illnesses such as Parkinson's disease, leukemia, multiple sclerosis, lupus, sickle-cell anemia, and heart damage  (to date, embryonic stem cells have also been used in treatment),  Moreover, there have been many advances in adult stem cell research, including a recent study where pluripotent adult stem cells were manufactured from differentiated fibroblast by the addition of specific transcription factors. Newly created stem cells were developed into an embryo and were integrated into newborn mouse tissues, analogous to the properties of embryonic stem cells. In 1973, Roe v. Wade legalized abortion in the United States. Five years later, the first successful human in vitro fertilization resulted in the birth of Louise Brown in England. These developments prompted the federal government to create regulations barring the use of federal funds for research that experimented on human embryos. In 1995, the NIH Human Embryo Research Panel advised the administration of President Bill Clinton to permit federal funding for research on embryos left over from in vitro fertility treatments and also recommended federal funding of research on embryos specifically created for experimentation. In response to the panel's recommendations, the Clinton administration, citing moral and ethical concerns, declined to fund research on embryos created solely for research purposes,  but did agree to fund research on leftover embryos created by in vitro fertility treatments. At this point, the Congress intervened and passed the 1995 Dickey–Wicker Amendment (the final bill, which included the Dickey-Wicker Amendment, was signed into law by Bill Clinton) which prohibited any federal funding for the Department of Health and Human Services be used for research that resulted in the destruction of an embryo regardless of the source of that embryo. In 1998, privately funded research led to the breakthrough discovery of human embryonic stem cells (hESC). This prompted the Clinton administration to re-examine guidelines for federal funding of embryonic research. In 1999, the president's National Bioethics Advisory Commission recommended that hESC harvested from embryos discarded after in vitro fertility treatments, but not from embryos created expressly for experimentation, be eligible for federal funding. Though embryo destruction had been inevitable in the process of harvesting hESC in the past (this is no longer the case     ), the Clinton administration had decided that it would be permissible under the Dickey-Wicker Amendment to fund hESC research as long as such research did not itself directly cause the destruction of an embryo. Therefore, HHS issued its proposed regulation concerning hESC funding in 2001. Enactment of the new guidelines was delayed by the incoming George W. Bush administration which decided to reconsider the issue. President Bush announced, on August 9, 2001, that federal funds, for the first time, would be made available for hESC research on currently existing embryonic stem cell lines. President Bush authorized research on existing human embryonic stem cell lines, not on human embryos under a specific, unrealistic timeline in which the stem cell lines must have been developed. However, the Bush Administration chose not to permit taxpayer funding for research on hESC cell lines not currently in existence, thus limiting federal funding to research in which "the life-and-death decision has already been made". The Bush Administration's guidelines differ from the Clinton Administration guidelines which did not distinguish between currently existing and not-yet-existing hESC. Both the Bush and Clinton guidelines agree that the federal government should not fund hESC research that directly destroys embryos. In May 2005, the House of Representatives voted 238–194 to loosen the limitations on federally funded embryonic stem-cell research – by allowing government-funded research on surplus frozen embryos from in vitro fertilization clinics to be used for stem cell research with the permission of donors – despite Bush's promise to veto the bill if passed. On July 29, 2005, Senate Majority Leader William H. Frist (R-TN), announced that he too favored loosening restrictions on federal funding of embryonic stem cell research. On July 18, 2006, the Senate passed three different bills concerning stem cell research. The Senate passed the first bill (the Stem Cell Research Enhancement Act) 63–37, which would have made it legal for the federal government to spend federal money on embryonic stem cell research that uses embryos left over from in vitro fertilization procedures. On July 19, 2006 President Bush vetoed this bill. The second bill makes it illegal to create, grow, and abort fetuses for research purposes. The third bill would encourage research that would isolate pluripotent, i.e., embryonic-like, stem cells without the destruction of human embryos. The religion of Islam generally favors the stance that scientific research and development in terms of stem cell research is allowed as long as it benefits society while using the least amount of harm to the subjects. "Stem cell research is one of the most controversial topics of our time period and has raised many religious and ethical questions regarding the research being done. With there being no true guidelines set forth in the Qur'an against the study of biomedical testing, Muslims have adopted any new studies as long as the studies do not contradict another teaching in the Qur'an. One of the teachings of the Qur'an states that “Whosoever saves the life of one, it shall be if he saves the life of humankind” (5:32), it is this teaching that makes stem cell research acceptable in the Muslim faith because of its promise of potential medical breakthrough." This statement does not, however, make a distinction between adult, embryonic, or stem-cells. In specific instances, different sources have issued fatwas, or nonbinding but authoritative legal opinions according to Islamic faith, ruling on conduct in stem cell research. The Fatwa of the Islamic Jurisprudence Council of the Islamic World League (December 2003) addressed permissible stem cell sources, as did the Fatwa Khomenei (2002) in Iran. Several different governments in predominantly Muslim countries have also supported stem cell research, notably Saudi Arabia and Iran. In genetics and developmental biology, somatic cell nuclear transfer (SCNT) is a laboratory strategy for creating a viable embryo from a body cell and an egg cell. The technique consists of taking an enucleated oocyte and implanting a donor nucleus from a somatic (body) cell. It is used in both therapeutic and reproductive cloning. Dolly the Sheep became famous for being the first successful case of the reproductive cloning of a mammal. In January 2018, a team of scientists in Shanghai announced the successful cloning of two female crab-eating macaques from fetal nuclei. "Therapeutic cloning" refers to the potential use of SCNT in regenerative medicine; this approach has been championed as an answer to the many issues concerning embryonic stem cells (ESC) and the destruction of viable embryos for medical use, though questions remain on how homologous the two cell types truly are. Embryoid bodies (EBs) are three-dimensional aggregates of pluripotent stem cells. The pluripotent cell types that comprise embryoid bodies include embryonic stem cells (ESCs) derived from the blastocyst stage of embryos from mouse (mESC), primate, and human (hESC) sources. Additionally, EBs can be formed from embryonic stem cells derived through alternative techniques, including somatic cell nuclear transfer or the reprogramming of somatic cells to yield induced pluripotent stem cells (iPS). Similar to ESCs cultured in monolayer formats, ESCs within embryoid bodies undergo differentiation and cell specification along the three germ lineages – endoderm, ectoderm, and mesoderm – which comprise all somatic cell types. Regenerative medicine is a branch of translational research in tissue engineering and molecular biology which deals with the "process of replacing, engineering or regenerating human cells, tissues or organs to restore or establish normal function". This field holds the promise of engineering damaged tissues and organs by stimulating the body's own repair mechanisms to functionally heal previously irreparable tissues or organs. Cord blood is blood that remains in the placenta and in the attached umbilical cord after childbirth. Cord blood is collected because it contains stem cells, which can be used to treat hematopoietic and genetic disorders. Adult stem cells are undifferentiated cells, found throughout the body after development, that multiply by cell division to replenish dying cells and regenerate damaged tissues. Also known as somatic stem cells , they can be found in juvenile as well as adult animals and humans, unlike embryonic stem cells. A stem cell line is a group of stem cells that is cultured in vitro and can be propagated indefinitely. Stem cell lines are derived from either animal or human tissues and come from one of three sources: embryonic stem cells, adult stem cells, or induced stem cells. They are commonly used in research and regenerative medicine. An amniotic epithelial cell is a form of stem cell extracted from the lining of the inner membrane of the placenta. Amniotic epithelial cells start to develop around 8 days post fertilization. These cells are known to have some of the same markers as embryonic stem cells, more specifically, Oct-4 and nanog. These transcription factors are the basis of the pluripotency of stem cells. Amniotic epithelial cells have the ability to develop into any of the three germ layers: endoderm, mesoderm, and ectoderm. They can develop into several organ tissues specific to these germ layers including heart, brain, and liver. The pluripotency of the human amniotic epithelial cells makes them useful in treating and fighting diseases and disorders of the nervous system as well as other tissues of the human body. Artificial heart valves and working tracheas, as well as muscle, fat, bone, heart, neural and liver cells have all been engineered using amniotic stem cells. Tissues obtained from amniotic cell lines show promise for patients suffering from congenital diseases or malformations of the heart, liver, lungs, kidneys, and cerebral tissue. The National Marrow Donor Program (NMDP) is a nonprofit organization founded in 1986 and based in Minneapolis, Minnesota that operates the Be The Match Registry of volunteer hematopoietic cell donors and umbilical cord blood units in the United States. Induced pluripotent stem cells are a type of pluripotent stem cell that can be generated directly from adult cells. The iPSC technology was pioneered by Shinya Yamanaka’s lab in Kyoto, Japan, who showed in 2006 that the introduction of four specific genes encoding transcription factors could convert adult cells into pluripotent stem cells. He was awarded the 2012 Nobel Prize along with Sir John Gurdon "for the discovery that mature cells can be reprogrammed to become pluripotent." Royan Institute is an Iranian clinical, research and educational institute dedicated to biomedical, translational and clinical researches, stem cell research and infertility treatment. It is a public non-profitable organization affiliated to Academic Center for Education, Culture and Research. It was established in 1991 by the late Dr. Saeid Kazemi Ashtiani as a research institute for Reproductive Biomedicine and infertility treatments. In 1998 this institute was approved by Ministry of Health as Cell Based Research Center with over 46 scientific members and 186 lab technicians. Embryomics is the identification, characterization and study of the diverse cell types which arise during embryogenesis, especially as this relates to the location and developmental history of cells in the embryo. Cell type may be determined according to several criteria: location in the developing embryo, gene expression as indicated by protein and nucleic acid markers and surface antigens, and also position on the embryogenic tree. Stem cell laws are the law rules, and policy governance concerning the sources, research, and uses in treatment of stem cells in humans. These laws have been the source of much controversy and vary significantly by country. In the European Union, stem cell research using the human embryo is permitted in Sweden, Spain, Finland, Belgium, Greece, Britain, Denmark and the Netherlands; however, it is illegal in Germany, Austria, Ireland, Italy, and Portugal. The issue has similarly divided the United States, with several states enforcing a complete ban and others giving support. Elsewhere, Japan, India, Iran, Israel, South Korea, China, and Australia are supportive. However, New Zealand, most of Africa, and most of South America are restrictive. Stem cell laws and policy in the United States have had a complicated legal and political history. ↑ "Stem Cells for Tissue Regeneration and Joint Repair", Science Daily , 29 March 2006. ↑ Genetic Science Learning Center. "The Stem Cell Debate: Is It Over?". Learn Genetics. Retrieved 15 January 2015. ↑ Park, Alice. "George W. Bush and the Stem Cell Research Funding Ban". healthland.time. Retrieved 9 May 2016. ↑ "Obama Ends Stem Cell Research Ban". CBS News. Retrieved 9 May 2016. ↑ Takahashi K & Yamanaka S (2006). "Induction of Pluripotent Stem Cells from Mouse Embryonic and Adult Fibroblast Cultures by Defined Factors". Cell. 126 (4): 663–676. doi:10.1016/j.cell.2006.07.024. PMID 16904174. 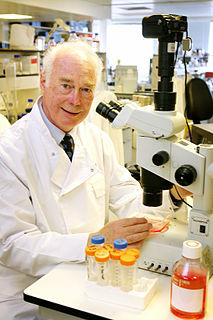 ↑ "The Nobel Prize in Physiology or Medicine – 2012 Press Release". Nobel Media AB. 8 October 2012. ↑ Cowan CA, Atienza J, Melton DA, Eggan K (August 2005). "Nuclear reprogramming of somatic cells after fusion with human embryonic stem cells". Science. 309 (5739): 1369–1373. Bibcode:2005Sci...309.1369C. doi:10.1126/science.1116447. PMID 16123299. ↑ Klimanskaya I, Chung Y, Becker S, Lu SJ, Lanza R (November 2006). "Human embryonic stem cell lines derived from single blastomeres". Nature. 444 (7118): 481–485. Bibcode:2006Natur.444..481K. doi:10.1038/nature05142. PMID 16929302. ↑ News, A. B. C. "Health Index". ABC News. ↑ Clout, Laura; Agencies (2007-09-01). "Scientists report alternative stem cell source". The Daily Telegraph . London. Retrieved 2007-09-20. ↑ Weiss, Rick. (May 8, 2003) "400,000 Human Embryos Frozen in U.S.," Washington Post. Retrieved August 24, 2006. ↑ Connolly, Ceci. (July 30, 2005) "Frist Breaks With Bush On Stem Cell Research". The Washington Post. Retrieved August 24, 2006. ↑ "NIH Publishes Final Guidelines for Stem Cell Research". National Institutes of Health. 2000. Archived from the original on 2007-08-21. Retrieved 2007-04-29. ↑ "Deriving Stem Cells Without Killing Embryo". Medical News Today. 2006. Retrieved 2007-12-26. ↑ "New stem cell breakthrough". inthenews.co.uk. 2007. Retrieved 2007-12-26. ↑ Wade, Nicholas (June 6, 2007). "Biologists Make Skin Cells Work Like Stem Cells". The New York Times . Retrieved 2007-12-26. ↑ Weiss, Rick (June 7, 2007). "Scientists Use Skin To Create Stem Cells". The Washington Post . Retrieved 2007-12-26. ↑ "Scientists Convert Mouse Skin Cells to Stem Cells". Public Broadcasting Service. 2007. Retrieved 2007-12-26. ↑ "Transfer of Bone Marrow Derived Stem Cells for the Treatment of Spinal Cord Injury - Full Text View - ClinicalTrials.gov". clinicaltrials.gov. ↑ "Safety and Feasibility of Umbilical Cord Blood Cell Transplant Into Injured Spinal Cord - Full Text View - ClinicalTrials.gov". clinicaltrials.gov. 1 2 3 4 5 6 7 8 9 10 11 "Arguments For Stem cell Research". Spinneypress. 2006. Archived from the original on 2008-02-01. Retrieved 2007-12-26. ↑ Singer, Peter. Rethinking life & death: the collapse of our traditional ethics , page 104 (St. Martins Press 1996). Retrieved 2007-03-04. ↑ Prentice, David. (October 17, 2005) "Live Patients & Dead Mice". Christianity Today. Retrieved on August 24, 2006. ↑ The Coalition of Americans for Research Ethics. "The "Political Science" of Stem Cells". Archived 2006-10-02 at the Wayback Machine Retrieved on July 16, 2006. ↑ Baertschi, Bernard, and Mauron, Alexandre. "Moral Status Revisited: The Challenge of Reversed Potency". Bioethics 24.2 (2010): 96–103. Retrieved. 19 Apr. 2015. ↑ Robertson, John A. "Embryo Stem Cell Research: Ten Years Of Controversy". Journal of Law, Medicine & Ethics 38.2 (2010): 191–203. Retrieved. 19 Apr. 2015. ↑ Wislet-Gendebien, S., Laudet, E., Neirinckx, V., & Rogister, B. (2012). "Adult Bone Marrow: Which Stem Cells for Cellular Therapy Protocols in Neurodegenerative Disorders?". Journal of Biomedicine & Biotechnology, 20121–10. doi : 10.1155/2012/601560. ↑ Cyranoski D (June 2007). "Simple switch turns cells embryonic". Nature. 447 (7145): 618–619. Bibcode:2007Natur.447..618C. doi:10.1038/447618a. PMID 17554270. 1 2 Wiedemann PM, Simon J, Schicktanz S, Tannert C (October 2004). "The future of stem-cell research in Germany". EMBO Rep. 5 (10): 927–931. doi:10.1038/sj.embor.7400266. PMC 1299161 . PMID 15459742. As noted before, the production of hESC lines is currently illegal in Germany; the 1990 Embryo Protection Act prohibits any utilization of the embryo that does not serve its preservation. ... Ireland, Austria, Denmark and France prohibit any production of hESC lines...Finland, Greece, the Netherlands, Sweden and the UK allow the production of hESC lines from surplus IVF embryos. ↑ "President Clinton's Comments on NIH and Human Embryo Research". U.S. National Archives. December 2, 1994. Retrieved 2006-07-19. ↑ "The Politics of Stem Cells". www.pbs.org. Nova | PBS. Retrieved 2017-04-21. ↑ Klimanskaya, Irina; Chung, Young; Becker, Sandy; Lu, Shi-Jiang; Lanza, Robert (23 August 2006). "Human embryonic stem cell lines derived from single blastomeres". Nature. 444 (7118): 481–485. Bibcode:2006Natur.444..481K. doi:10.1038/nature05142. PMID 16929302. ↑ Kao, CF; Chuang, CY; Chen, CH; Kuo, HC (2008). "Human pluripotent stem cells: Current status and future perspectives". The Chinese Journal of Physiology. 51 (4): 214–225. PMID 19112879. ↑ "President Discusses Stem Cell Research". georgewbush-whitehouse.archives.gov. ↑ "A Step Closer to Stem-Cell Heaven". Wired. 2005. Retrieved 2008-02-28. ↑ Connolly, Ceci (July 30, 2005). "Despite Bush Veto, Stem Cell Research Abounds". The Washington Post. pp. A01. Retrieved 2006-07-21. ↑ Kellman, Laurie (July 18, 2006). "Senate Approves Embryo Stem Cell Bill". Washington Post. Associated Press. Retrieved 2017-02-28. ↑ "Rights of Taxpayers is Missing Element in Stem Cell Debate". The Ron Paul Library. Archived from the original on 2007-12-11. ↑ "Estimates of Funding for Various Diseases, Conditions, Research Areas". National Institutes of Health. 2007. Archived from the original on 2007-10-11. Retrieved 2008-01-21. ↑ "Best Hope Lies in Private Stem-Cell Funding" . Retrieved 2008-01-31. ↑ "California's Stem Cell Agency". California's Stem Cell Agency. ↑ "%5d ""Kerstin Klein, Illiberal Biopolitics, Human Embryos and the Stem Cell Controversy in China, 2010"] London School of Economics-LSE]". lse.ac.uk. ↑ "On Embryonic Stem Cell Research" (PDF). USCCB Publishing . Retrieved 2007-06-24. ↑ "Catholic Support for Ethically Acceptable Stem Cell Research". USCCB Publishing . Retrieved 2019-01-16. 1 2 "Resolution On Human Embryonic And Stem Cell Research". Southern Baptist Convention . Retrieved 2007-06-24. 1 2 "Ethics of Embryonic Stem Cell Research". The United Methodist Church. Archived from the original on 2013-04-16. Retrieved 2007-06-24. ↑ "Sanctity of Human Life Including Abortion and Euthanasia" (PDF). Assemblies of God. Archived from the original (PDF) on 2006-09-26. Retrieved 2007-06-24. ↑ Agha, Fatima; Hayani, Al (2008). "Muslim perspectives on stem cell research and cloning". Zygon. 4 (43): 783–795. ↑ "Embryonic Stem-cell Research". The Church of Jesus Christ of Latter-day Saints . Retrieved 2011-10-20.